Congratulations go to sorayita! 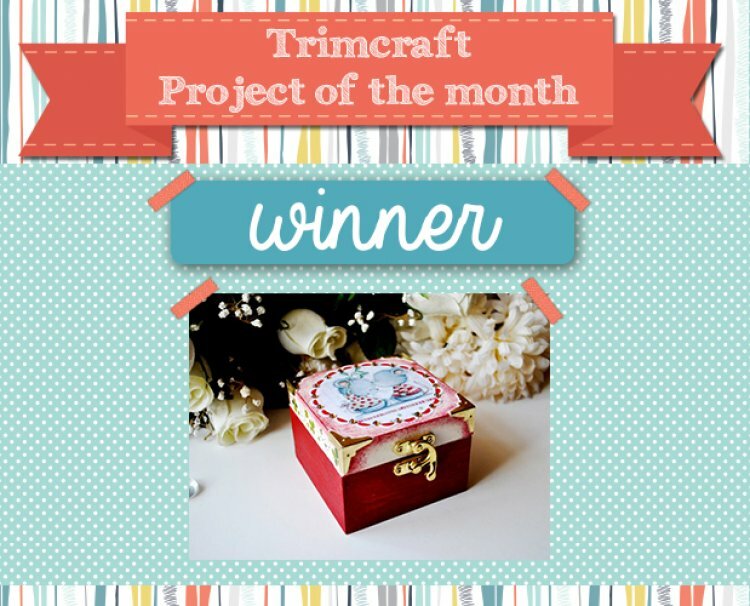 Your box was our favourite project from this month! The little box would make a lovely gift for all ages and we loved the attention to detail you made around the gift box lid. We also liked how you embellished the image with gems to complement the metal corners and fastener! You can see the project here. Please email [email protected] with your details and we will send you a crafty prize. Remember to keep adding your creations to the project gallery for the chance of winning October's Project of the Month!